Importantly, we need to acknowledge the large role the US context plays; Hirsch is truly interested in inequality and the US has a lot of it. It especially became clear that he was far more communitarian than sometimes depicted. Rather than individualism, he favours community and that is something that appeals to me a lot. He does not seem overly attached to a *certain* curriculum or certain systems and structures, just as as long as there is a coherent, knowledge-oriented curriculum. He gives several favourable examples from Japan where the system is not like the charter system. I find this slightly ironic in the English context, because I feel that a lot of the communitarian aspect has actually been undermined in the last five years with systems and structures, like academies and free schools, even allowing to divert from a national curriculum. 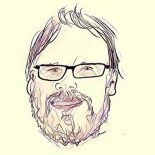 Of course, I know the reactions to this, namely that the curriculum wasn’t fit for purpose but given the communitarian ideals behind Hirsch’s thoughts I wonder whether getting rid of one, and changing the system so it becomes more fragmented, to then start a campaign to let everyone adopt one particular vision, really is a communitarian thing to do. My feeling is it actually has caused less ‘overall’ community within England, although within certain sub-cultures there is more. Hirsch is critical of the interpretation of the Coleman Report as ‘it’s not the schools’. I can understand that; it seems that especially in the US a coherent curriculum was not on the mind. Devolving responsibility from education, in my view isn’t a good thing. Yet, I now see the opposite: education as the ‘great equaliser’, allowing governments to get away with not addressing systemic inequality. I think there is plenty of evidence that shows that different levels contribute to inequality (or equity): at the individual level, family SES, teachers, schools but also country level policies. The communitarian aspect returns again, and I appreciate that Hirsch tries to detach the developments from a political colour. He does this, for example, by contrasting the I would say center left developments in France with the I would say center right developments in Sweden. I would not, though, say it’s non-political: for both countries the communitarian ideal of a coherent (knowledge) curriculum was undermined. In one by generic skills ideals, in another by system changes (friskolar, Sweden experts, correct me if I’m wrong). Quite some space in the book is devoted to ‘educationally invalid testing’. It builds on what in the introduction is described regarding ‘generic skills’. 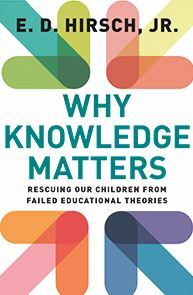 Hirsch really seems to have big problems with the term ‘skills’ and at a certain point (p. 13) says “Think how significantly our view of schooling might change if suddenly policy makers, instead of using the term skill, had to use the more accurate, knowledge-drenched term expertise.”. I can see how one would start to dislike an opaque term like ‘skills’ when people use it interchangeably for all-sorts. But what’s in a name? If we would redefine skills, as for example Ohlsson does, to ‘practical knowledge’, I’m not sure if that really makes a difference. Also, the term ‘expertise’, according to Hirsch, might be ‘knowledge-drenched’, but in becoming an expert surely one needs to practice. We can stop using ‘skills’ in describing practice, but I feel this is more semantics: people favour generic skills, let’s get rid of the word. The best part of a whole chapter (one) is then used to describe how in the US the use of reading tests is educationally invalid. I’m not sure how much of it can be ascribed to the US situation, but I do sense some overlap with other educational jurisdictions. Hirsch at first seemed to suggest that high stakes were best removed, to allow teachers to pay more attention to the ‘long arc of knowledge acquisition’. I don’t, however, think this should be read as Hirsch being against testing per se, just as long as they were ‘based on good, knowledge-based standards’ (p. 33). I find Hirsch slightly inconsistent here, apart from the ever-present ‘coherent knowledge based curriculum and standards’. Hirsch, rightly so is against scapegoating teachers and goes into Value Added Models. I think it makes sense, and I had to think about the balanced American Statistical Association statement on Value Added. The links, plus a balanced evaluation can be found here. In another chapter, Hirsch covers the phenomenon of ‘fadeout’, which is challenging for every programme. Some took his mention of Direct Instruction and Success for All to be criticism of direct instruction (small letters) but it’s more the Engelmann style (capital letters). Project Follow Through makes another appearance, as does the Reggio Emilia schools as example of ‘naturalistic’. It is interesting, though, that he mentions that all programmes suffer fadeout; it seems the reason why he wants a long-term coherent curriculum. I think that makes sense, but think it does make it hard to do evaluations. Hirsch mentions he’said not very interesting in, for example, Randomised Controlled Trials. I understand his position but this does contrast with the Core Knowledge evidence base, which is rather mixed. In sum, I enjoyed the themes in this book, although delivered in a fragmented way. I think Hirsch’s aims regarding equality are genuine and noteworthy, and is clearly fed up with teachers getting the blame. I think he really focuses on ‘a coherent knowledge curriculum’ and not, as some seem to think, systems and structures. I think his dislike of ‘skills’ being abused has been taken too far though. At first it seems he’s against testing but he’s not, as he wouldn’t mind knowledge tests. Interesting ideas, I hope we take them in, and not just pick what suits. This entry was posted on February 17, 2017 by cbokhove in Education.